The legendary name in music, Sir Elton John, will perform in 47 cities and 21 countries as part of his world tour, will meet his Turkish fans on July 5 in Istanbul and July 6 in Ankara. It will be John’s second visit to Turkey in 10 years. A graduate of the Royal Academy of Music in London, he started his music career with the band Bluesology, which he founded at the age of 15. John has a very special group of fans all around the world with more than 450 million albums and 40 million singles sold since the 1970s. 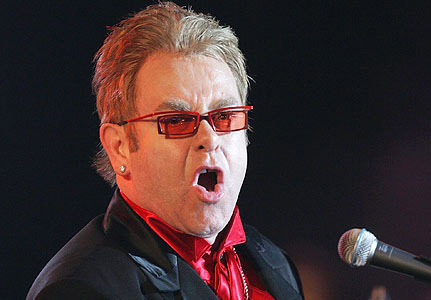 Sir Elton John will perform in Istanbul’s Maçka Küçükçiftlik Park. Another world popular singer who will perform in Istanbul this summer is British soul and jazz singer Amy Winehouse. She will perform on June 20 at Maçka Küçükçiftlik Park as part of the promotional tour of her new album. The 27-year-old Winehouse is the first British singer to win five Grammy Awards including three of the “Big Four,” which are Best New Artist, Record of the Year and Song of the Year. She has been credited as being an influence in the rise in popularity of female musicians and soul music and revitalizing British music.